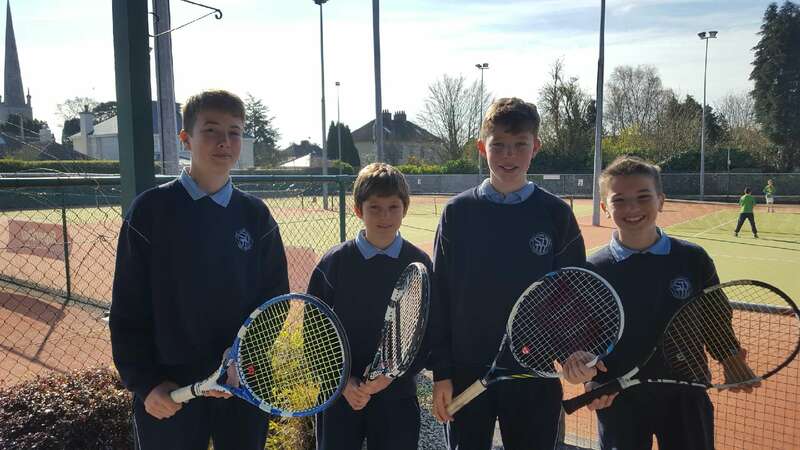 Today our school tennis team played their first match and were successful against Beaumont Boys school. The team pictured below are Jeremy, Daniel, James and Nico. Thanks to Gillian Kelleher for helping with the organisation and to Ms. Healy for travelling with the team. 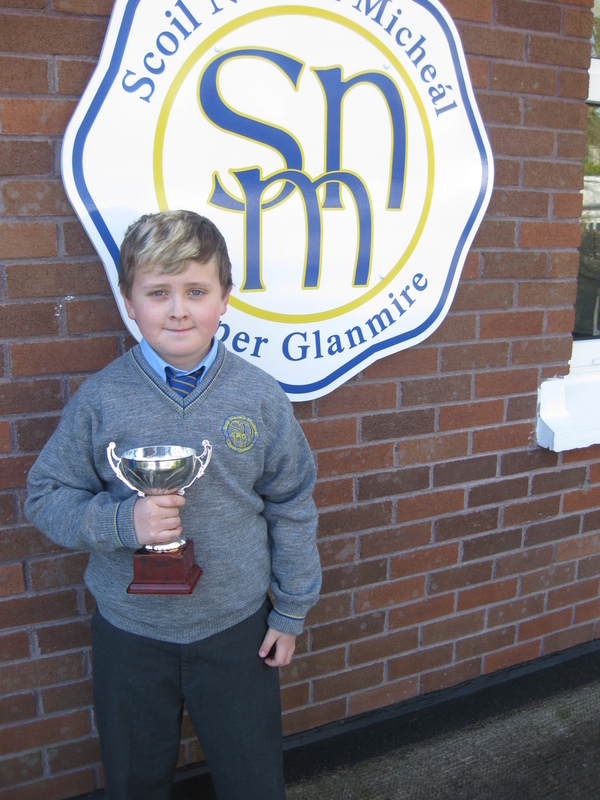 Well done to Darragh in Rang 2 on his recent success with his Castleview soccer team. He proudly showed his trophy to his classmates in school and we look forward to sharing more success. Well done Darragh! 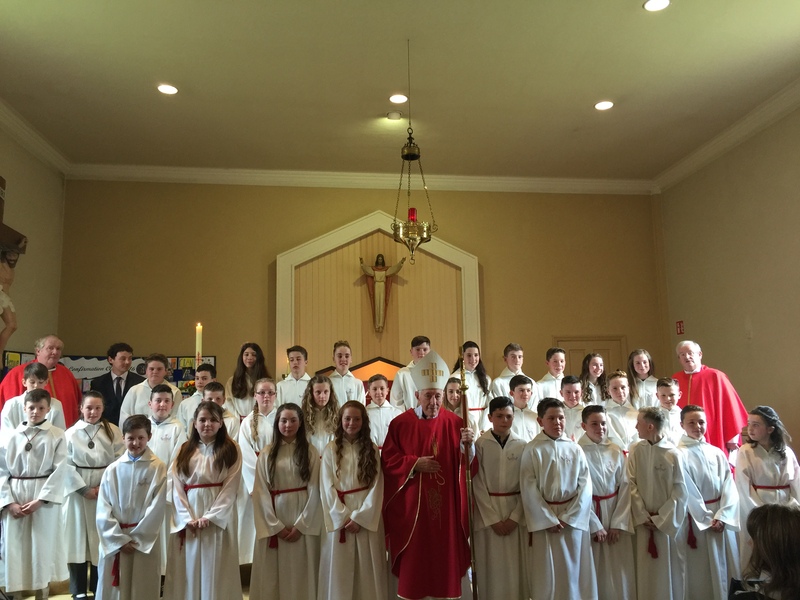 On Tuesday, our children in Rang 6 celebrated the Sacrament of Confirmation. It was a beautiful day and the children were a credit to their families and school. We would like to thank Archbishop Coveney, along with Fr. Heinhold and Fr. Newman. Also the staff of our school for their collaborative effort in preparing the children for the day. Thank you all!